Modello Idea+ is characterized by a wide range of frames (7 types) and finishes. 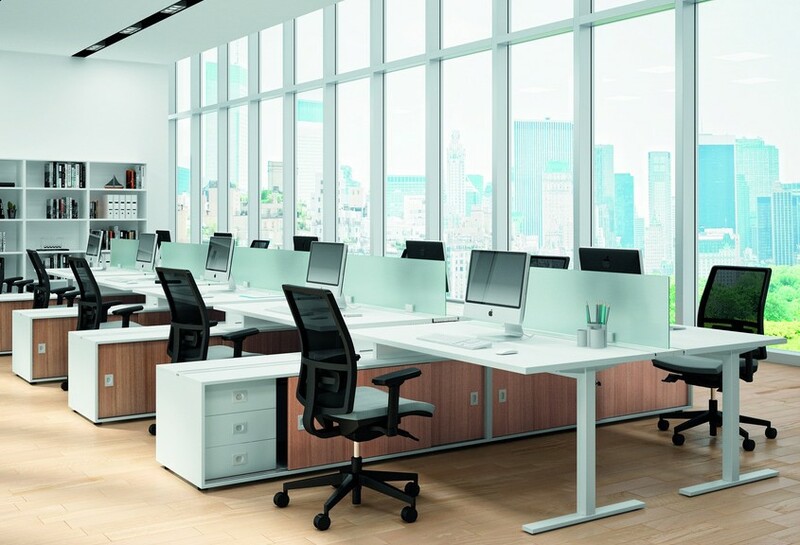 The essentiality and functionality of this range focus the attention on the user and their work, from multiple to individual workstations. A new dimension to the desk integrated with the operative box with sliding doors. 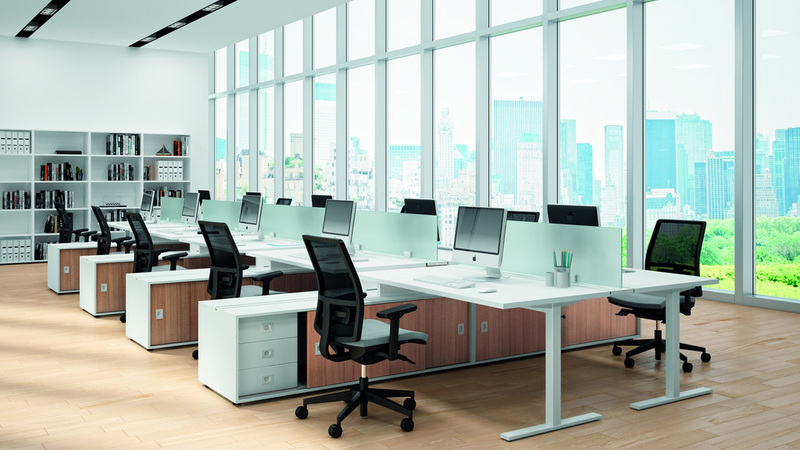 The combinations of elements and finishes create rigorous but customized workstations to support all activities. 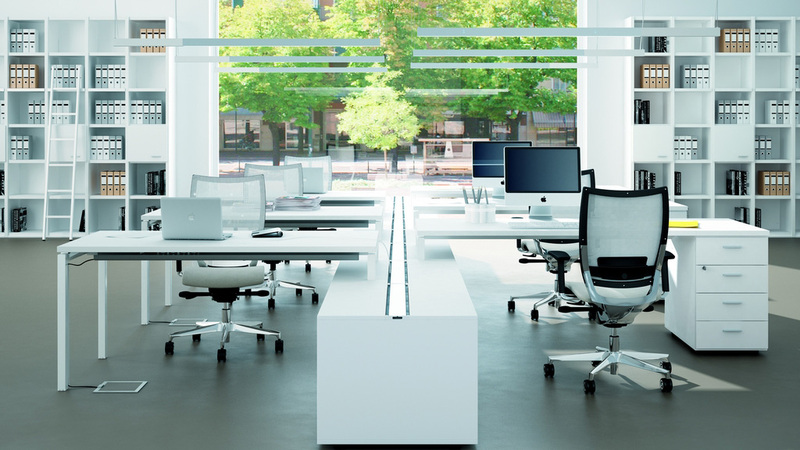 Modello Idea+ is also a benching system with shared desktops. Each element has its own character and has been carefully studied giving importance to the working space and technological progress. 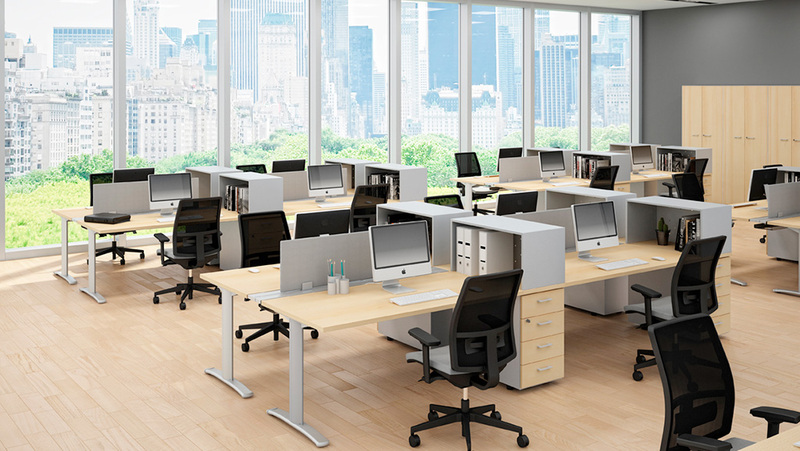 Desks integrated with pedestals create continuous solutions between closed volumes and work surfaces. 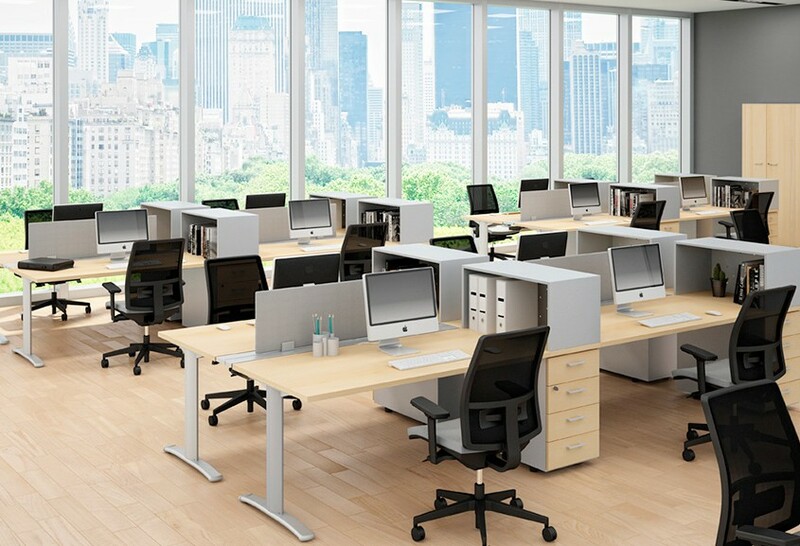 The solution expands functionality and work becomes easier. Practical and intuitive like an interlocking puzzle, Modello Idea+ increases the flexibility and the changeability of the room according to your needs, geometrical and linear, matching with themselves and the Modello Idea+ desks, partitions are important to manage and personalize the working spaces, the great modularity of the Modello Idea+ elements allows to furnish according to the most modern needs. 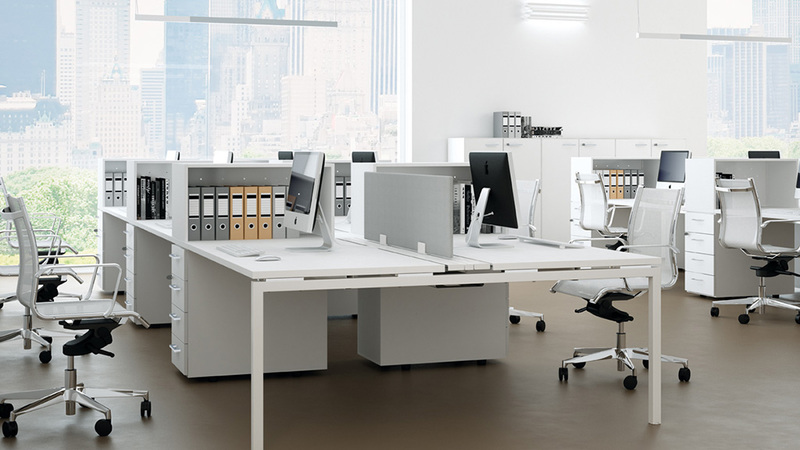 Modello Idea+ furniture increases the changeability of the room according to your needs The Quadrifoglio Idea+ desks are predominately an operative range of furniture with cable management available. 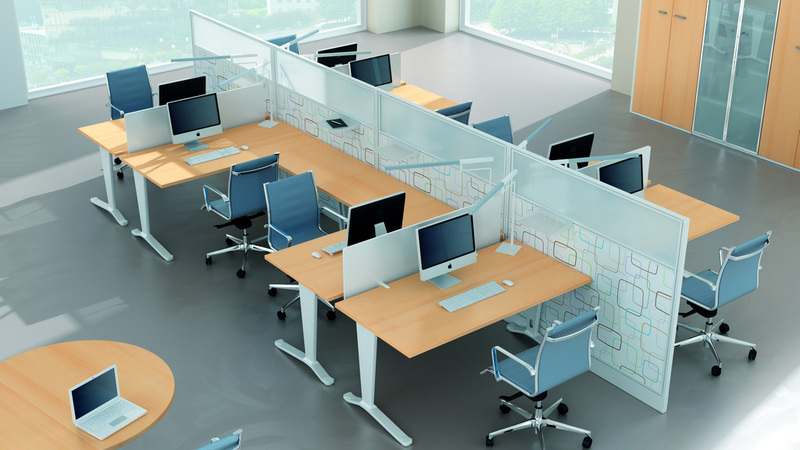 A highly flexible system which allows creation of very functional working areas with the help of the desk top screens. 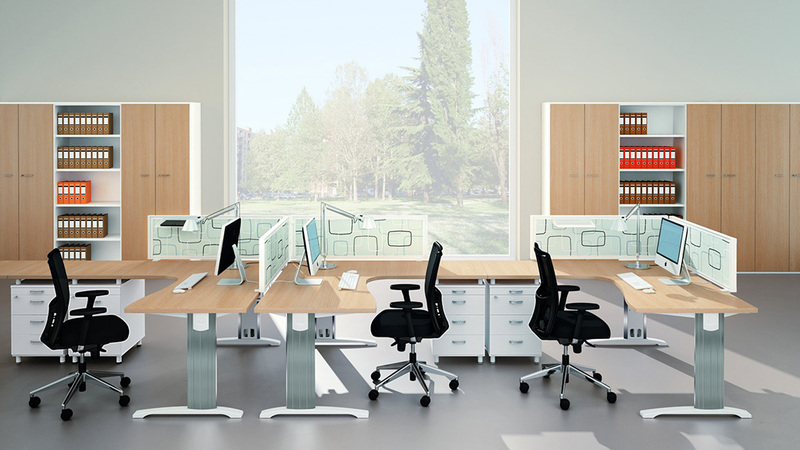 Quadrifoglio Idea+ desks are also available with 7 different leg frames from panel ends to Ypsilon leg which is a very stylish Italian finish. 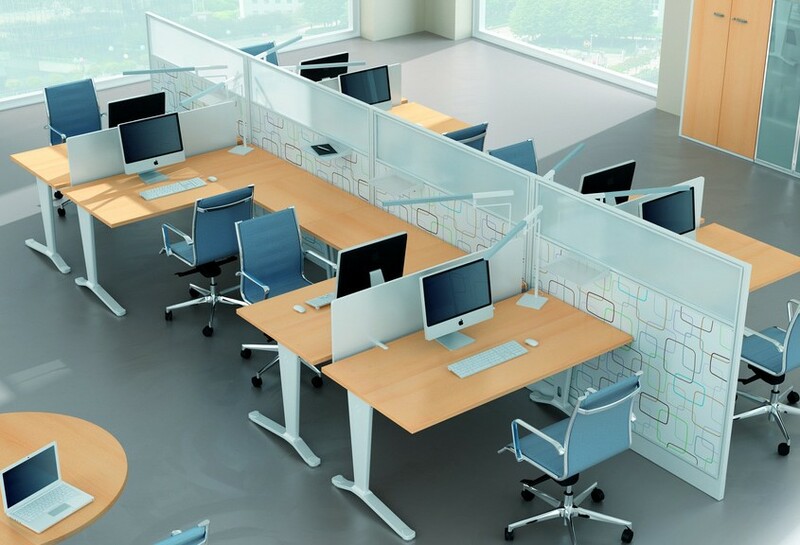 Another great feature of the Modello Idea+ desks are that the leg covers can be changed on some of the frames so you can have a brand new look to your desking after 12 months or so at a far less cost than replacing them with new. 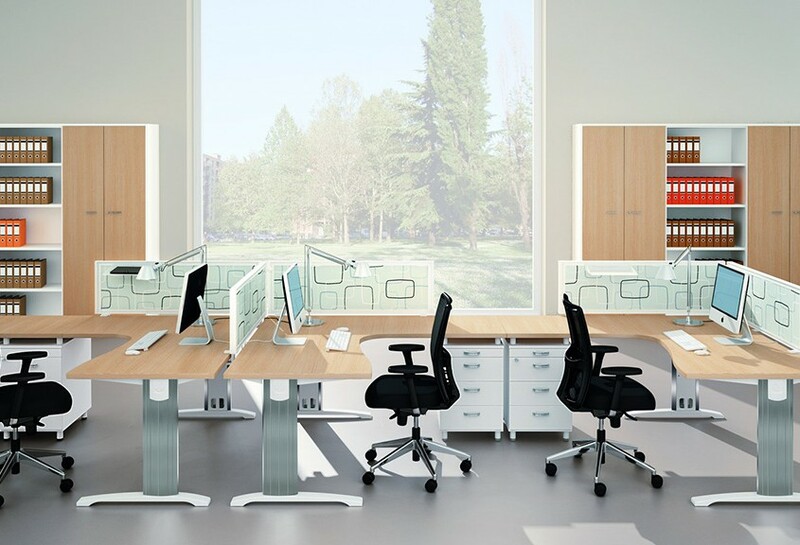 The Quadrifoglio Idea+ desks has so many desk top shapes to this, your office can be space planned by our CAD system to create the most effective use of space for your company, idea+ bench desk systems are also available again saving money by leg sharing. Available with 7 leg frames and 7 melamine finishes to choose from. All finishes are scratch resistant, non reflective with washable melamine particle board.